Anyway, both my sister grown up liao.... Time flied.... Still remember 3 of us were playing with the stupid Tape recorder when we were small. So fun! Suddenly mother mention about 3 of us were in Banking industry but nobody stepped into Property line. This is her wish.... haha! Who can fulfill? Something that haven't been posted for quite a while after reservist. 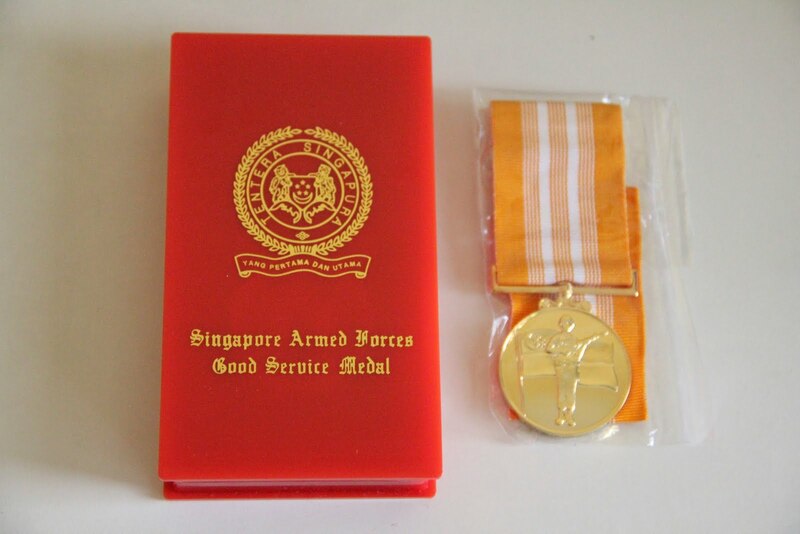 The thing below is 5 years service award from NS. Ya... thank hor... seem like it is saying "thank for feeding the mosquito for 5 successful years".... haha! Today tried to run different route due to my Nike + equipment not with me. But I managed to run quite a long distance without slow down. The most fun part was running into the forest trail which required me to take every step carefully. Ya... suddenly I found that a lot of nice song in my mum's iPod but not mine. Let share some here. what tape recorder?! i dun remember at all... only remember we slide ard on wet floor... haha! dat was FUN! slide around....... hahaha... is crazy lor at that point of time. We really have nothing to do. Tape recorder was in Diamond Hill wooden house!